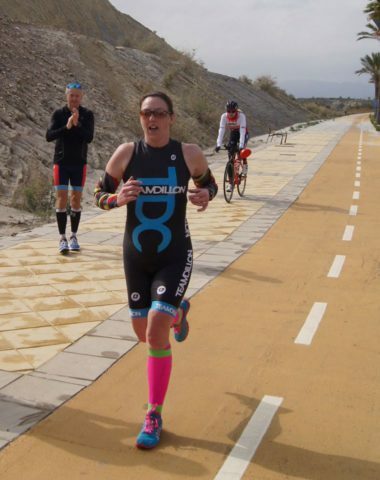 Our athlete focus this month is Kirsty Middlemist, coached by Michelle Dillon. 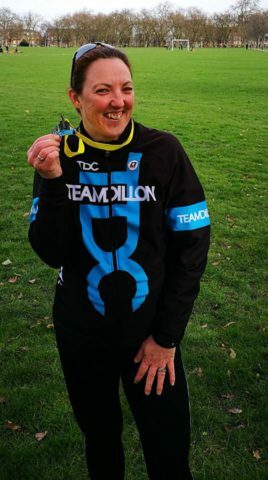 Kirsty is taking part in some phenomenal events next year, including a 10km swim! Here we hear from our bright, vibrant and determined athlete herself. If you are looking for some like-minded motivation we are sure you will find it right here. 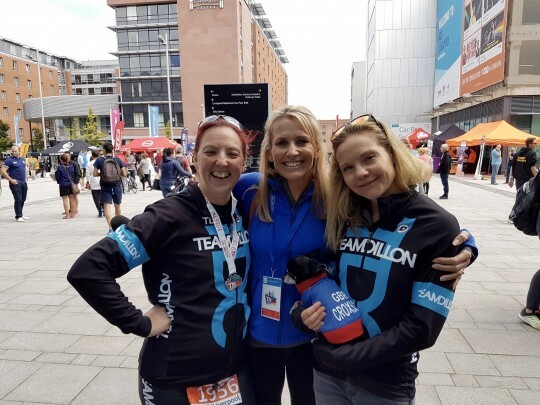 What got you wanting to give triathlon a go and why? I had a friend who had done many triathlons including Ironman. He had been on at me for ages to do a triathlon. 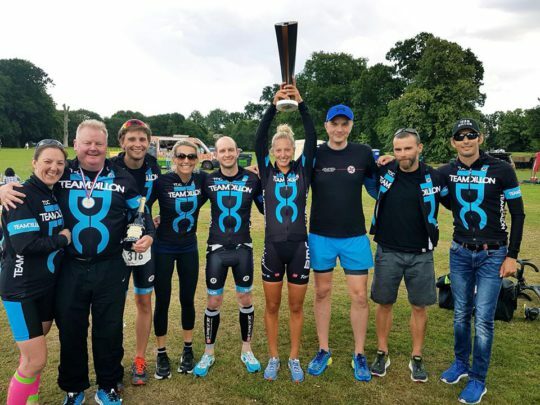 When we moved to Kent I couldn’t find a kickboxing gym I liked so I gave up kickboxing and gave triathlon a go. That was 8 years ago, swam in a peculiar shaped pool and rode a very heavy mountain bike. The buzz I got from crossing the line that first time has never diminished and I never looked back. What is your proudest moment to date in the sport? 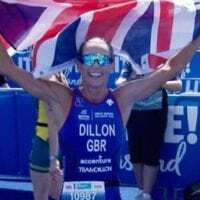 How did you get in contact with Team Dillon and why? My husband Alastair got in touch with Michelle in the run up to my 40th birthday. Two 1-2-1 sessions with Michelle were my 40th birthday gift from him and both sets of parents. What remains your motivation to get out and train? Seeing how I have got better and faster over the last 3-4 years working with Michelle. Knowing how much I have improved and wanting more. I have such a hunger to achieve now and I always want to finish as high as I can in my age group. If I ever struggle for motivation to get out and train I just keep my potential rivals in mind – that usually gets me out the door!! What has been the hardest obstacle so far in this journey and how in which do you use it for positive influence? Time or lack of it some weeks. However that really focuses the mind when it comes to fitting training in – I am actually better at getting it done now I don’t have all day to think about it. If my week is particularly busy I make sure I diarise time, maybe a bit OCD but it works for me. Tell us I summary about this year’s season and how it went for you? This season was a mixed bag. I was faster than previous years in the Olympic distance. I was trying to qualify for Europeans but was 4 minutes off the qualifying time I needed. I did finish on a high though. I decided to do the Woburner (middle distance) for fun at the end of the season and just to check where my fitness was for the longer distance. Well turns out the fitness as not too shabby! 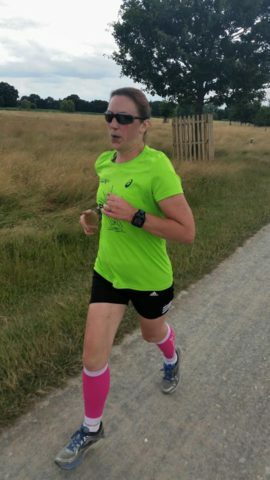 I got a pb of 1 hour 15 for the distance (yes really!! Not a typo) and I hadn’t trained specifically for it. I was 3rd in my age group which I was thrilled about. Next season I am looking to focus on middle distance to see what I can do if I actually train for the distance. I also have a couple of Olympic distance races planned to keep me race sharp. 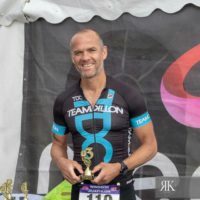 I will also do a sportive or 2, couple of run races and at least one duathlon as part of my training in the run up to the season. How is your winter training looking? 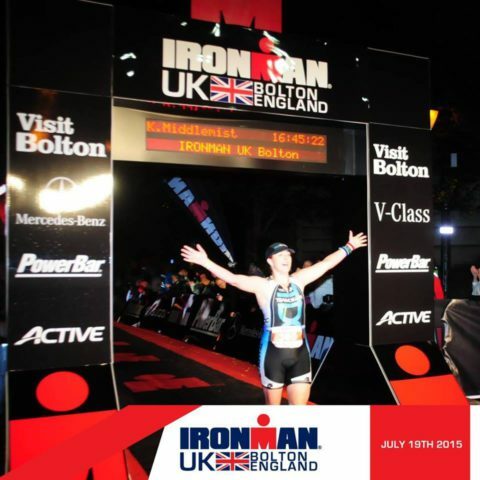 Had a dodgy start as I went down with a lurgy days after the Woburner so I couldn’t train for 4 weeks. I am back on it now and building up to a 10k swim in November. It is a new event at the London Aquatic Centre. I am very excited to be swimming in the Olympic pool and I am hoping to complete it in 4 hours or less. Training is currently very heavily geared towards swimming!! Still working to get my overall fitness back to where it was at the end of the season. How have TDC winter training camps help you progress as an athlete? Why would you encourage others to give it a go? I have been to 2 winter training camps with TDC and loved both of them. It is hard work but the location is fantastic and tired feeling at the end of each day is truly satisfying, knowing you have tried your best. After both camps within weeks I have seen improvements in my fitness, speed and power, especially in the bike which tends to be my weaker area. I can’t recommend these camps highly enough. How have your family been influenced by your commitment to the sport? I haven’t managed to convince anyone to do triathlon yet! My brother is a runner so we have some healthy rivalry there. I get mixed reactions to be honest. 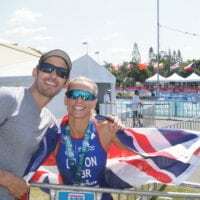 Some family members ask why I do it but can’t understand, some think I am plain nuts and some are hugely supportive and come to races when they can. My family are scattered across the UK so often they come to the races local to them. It’s great as the support can often be a surprise. My biggest supporter is Alastair who comes to every triathlon regardless of location. He also makes sure I eat well (that’s good for him too ?, and helps to get me out the door for training when necessary. ? What’s your favourite TDC session? Run intervals any day of the week. I can really push myself on the treadmill and see how fast I can manage. Even it is only 30 seconds at a high pace psychologically it really boosts me. If you had to sum up your excitement for next year’s season in three words, what would it be? On behalf of the team we would like to wish Kirsty a huge good luck for the season ahead, and we will all be keeping our eyes peeled for some fantastic results.